In spite of these challenges, Aramex remains highly committed to its strategy of leveraging disruptive, innovative technologies and launched a new mobile app in Q1, which will be rolled out across the UAE and additional markets in Q2. A “Rapid Scaling-Up” Model will soon be unveiled to leverage more partnerships with delivery businesses worldwide, extend global reach and improve delivery transit times. The use of these innovative technologies is helping Aramex to quickly adjust to challenging market conditions, increase capacity and tap into unlimited resources across markets. In line with these developments, a continued focus for the rest of 2016 will be to further enhance the e-commerce platform due to the rapid growth of cross-border e-commerce. Aramex will also continue to actively look for future acquisitions in key markets, particularly in Asia where it sees significant opportunities for business growth, as well as in Africa where it is witnessing a steady growth particularly in Sub-Sahara Africa. 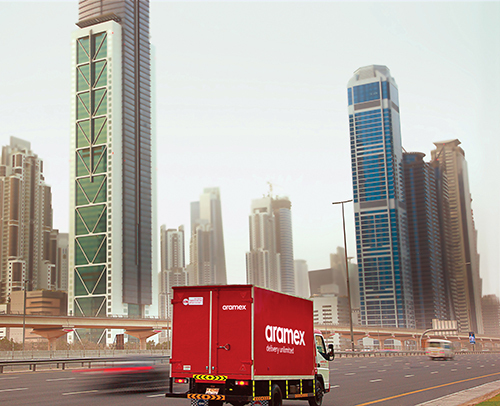 Leveraging innovative technologies to support Aramex’s movement towards developing a more variable business model, becoming a technology-based enterprise and maintaining its position as a dynamic and disruptive global logistics player will continue to be a key focus for the business in the remainder of 2016.